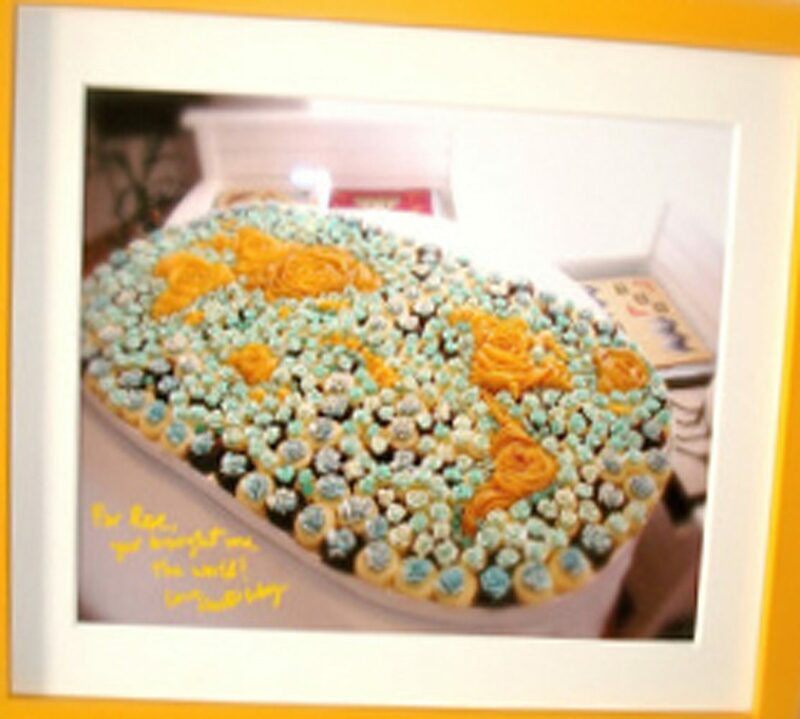 notes on ROSE’S heavenly CAKES: Yellow Butter Cupcakes (page 295), Easter egg take. coach Roz Dias requests to help out with a golden egg. 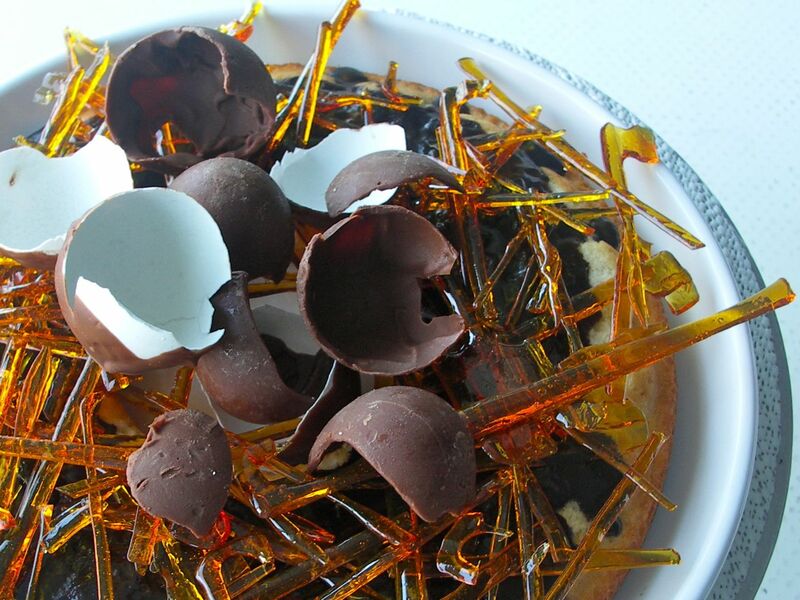 i put together the bakers take: hard boil real eggs, wrapped in chocolate wrappers. at our Easter egg hunt, the finder of the golden egg receives a few door prizes an a first bite of the easter egg cake. 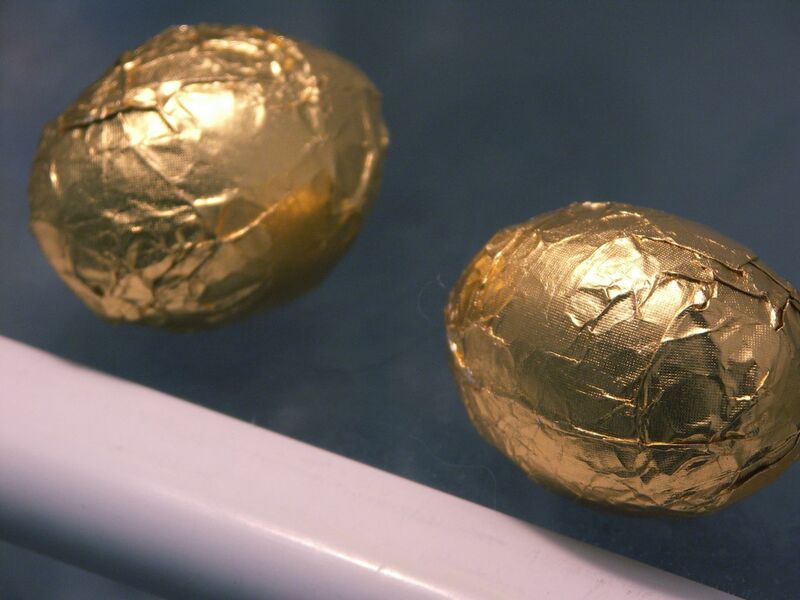 here are some takes on how to make real chocolate real eggs, i call it suicidal chocolate eggs, because it is very difficult to remove the egg shells from the chocolate. 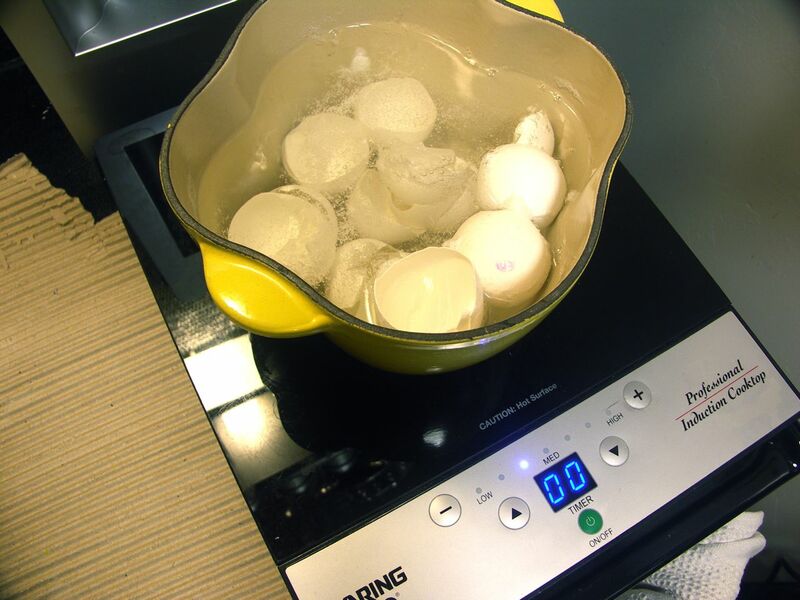 first, crack and empty real eggs, rinse well, then boil well. air dry. 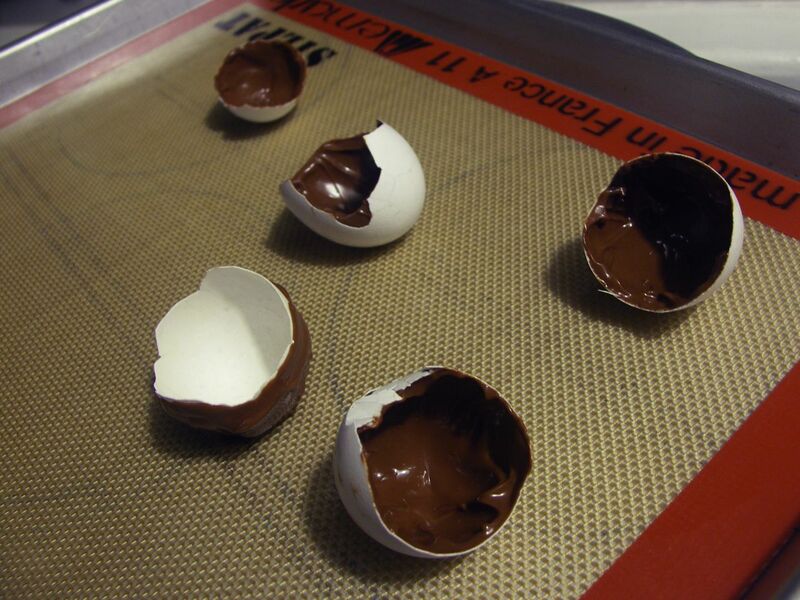 second, melt dark chocolate and brush on the inside of the shells. third, peel off the shells with finger nails, expect to do up to 8 shells, any more causes nail bleeding. H, I cannot imagine peeling the shels with fingernails. You have amazing perseverance. Did you hurt yourself? J, not till bloody, but did hurt and for days!